What is Assistive Device Program (ADP)? 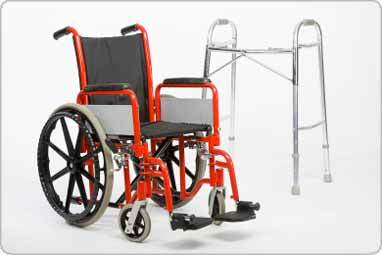 For Ontario residents with long-term physical disabilities, The Ministry of Health has an operational program called the Assistive Devices Program (ADP). Through this program, the Ministry provides devices to help Ontario citizens with physical disabilities. The Assistive Devices Program (ADP) provides support to people with diagnosed physical challenges to help improve their quality of life. Our Physiotherapists at Oriole Physiotherapy are registered authorizers with The Assistive Device Program (ADP) under the Ministry of Health & Long-Term Care (Ontario) for purpose of prescribing walkers, wheelchairs, and scooters. Under this program, The Ministry can, subject to approval of an application, reimburse a patient up to 75% of the cost for a given mobility aid authorized by our therapists.